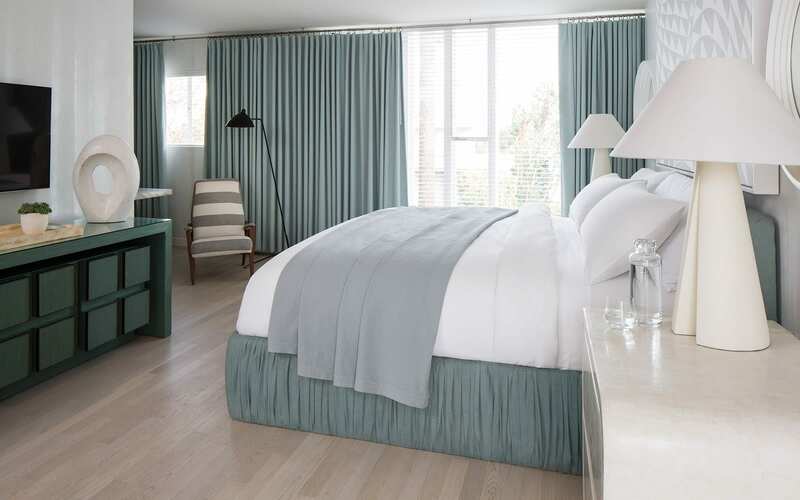 At the heart of the hotel in the Olympic Building, our Junior Suite features an open layout with a seating alcove, spacious desk, custom glazed European white oak hardwood flooring, complemented by marble bathrooms and floor-to-ceiling windows. If you like to see the big picture, many offer balconies overlooking the pool–for the bird’s-eye view. Accessible rooms available. Refresh in our calming baths featuring statuary white and ming green marble, rainforest showerheads and Momo Bath products from Davines. Unwind and relax in our plush terry robes and cotton knit towels. Your space is designed for pure comfort and convenience with European white oak hard wood flooring, inviting seating alcove and private outdoor terrace. Use your customized Proper tablet for in room dining, daily e-newspapers, and service requests.